In honor me contemplating how much I love choose your own adventure books, I’m going to let you choose your own pre-emblem. Remember, no peaking! Door Number 1: When I was little kid, my mother once took a looked up from the menu of the restaurant we were at and announced that we were not allowed to buy anything that she could easily make at home, explicitly pointing out the grilled cheese as an example. Ever since then, I’ve made it a point to never order something I know I can easily make myself. While I was making this recipe, I was filled with a quite sense of shame as to how much money I’ve spent buying fajitas. Go to Ingredients. Door Number 2: There’s two kinds of Mexican food in America: actual Mexican food that you will find in the home of someone living in an average town in Mexico and the stuff that they sell to non-Mexicans because they don’t know this different. This is a recipe of the latter. Go to the picture at the bottom. While the oil is warming up over a medium heat in a frying pan, mix the garlic, cumin, oregano, chili powder, and salt into a bowl. Toss the chicken in the seasoning mix until fully coated. 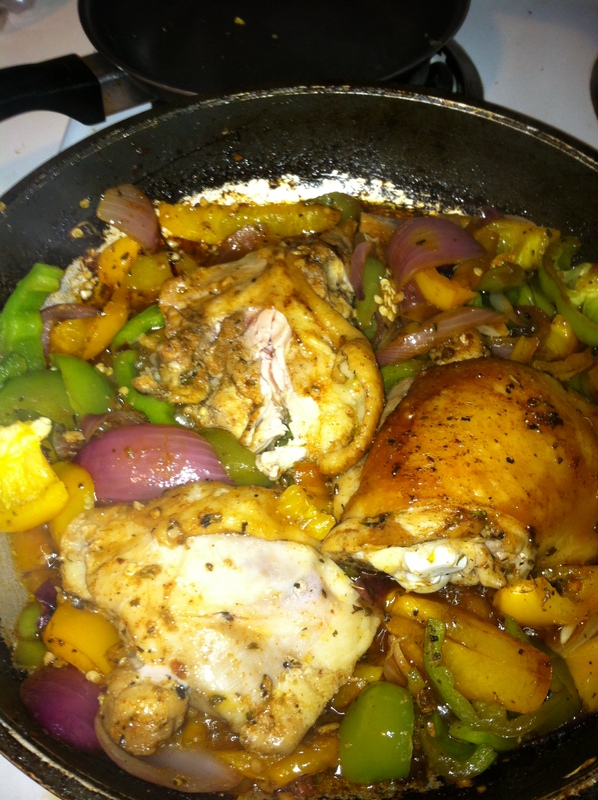 Sauté the onions and bell peppers and once the onions are soft, add in the chicken. After the chicken has been cooking for 10-15 minutes, squeeze in the juice of a lemon or lime. Stir and cook for a few more minutes. Do you like salad? Go to Door A. Do you like tortillas? Go to Door B. Door C: The monster behind the door kills you. The End. Door D: There is a monster behind the door and now you are dead. The End.